There are many different ways to add art to your home, and they don’t all include pictures and sculptures. 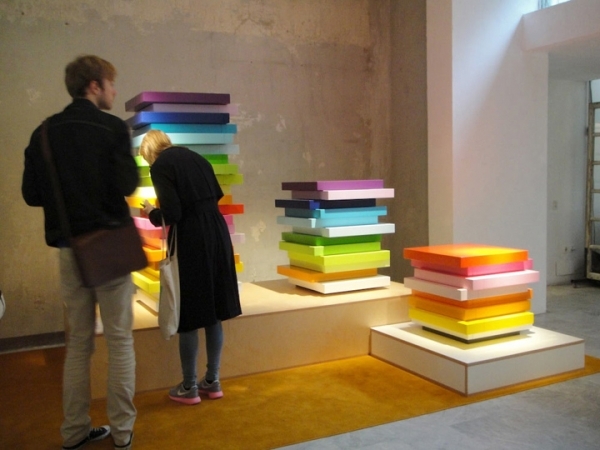 Sometimes, creative furniture pieces can moonlight as art, adding style and function. You can have a lamp that looks like a tree, a light that looks like a sculpture, or a table that looks like an installation. The same can be said for these wonderful storage units. 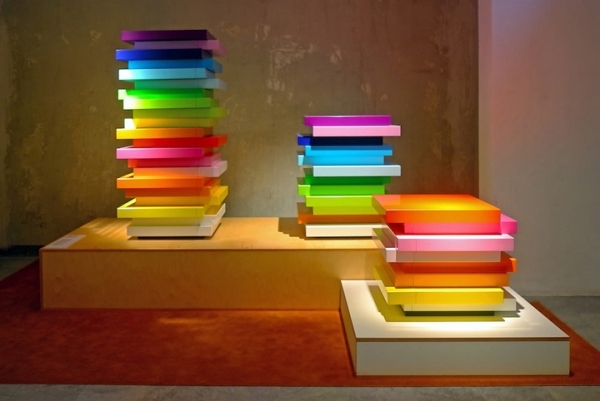 These storage units are called Mille-Feuille, and they are by Emmanuelle Moureaux and German furniture company, Schönbuch. With these beautiful creations, adding art to your home is as easy as pie. The colors of the rainbow are bright and bold in these wonderful designs. We love the geometric shapes. The uneven stacks are absolutely gorgeous, creating a significant amount of interest. When we were first looking at these pictures, we were trying to figure out how they would open, and then voila, magnificent drawers. The drawers look fantastically deep in these storage units, providing more than enough space for books, knickknacks, and doodads. The gray color of the drawers makes sure that the bright rainbow colors do most of the talking in this wonderful design. 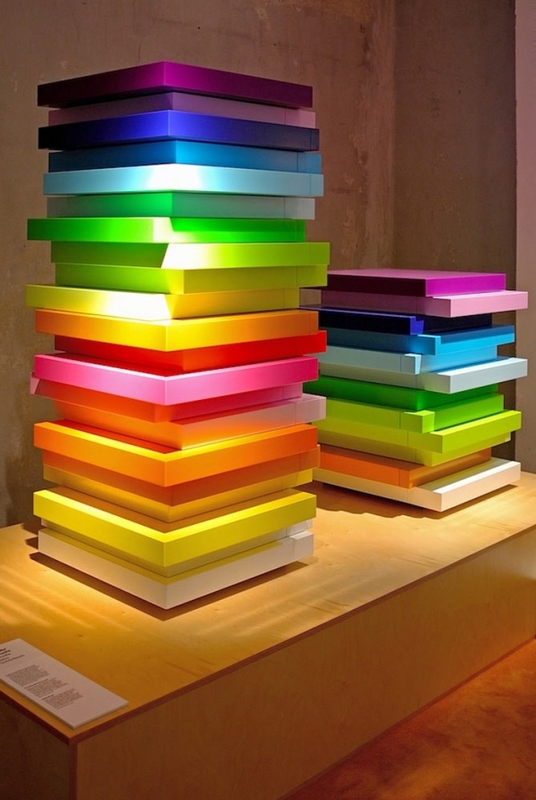 With the drawers closed, these look like bright and cheery pieces of art, effectively adding decoration and function to your home. These would be absolutely gorgeous in a modern or mid-century living room. They would also be fantastic in an entrance area or a foyer, providing a playful beauty and miscellaneous storage. We could also see these in a kid’s bedroom. The drawers could fit crayons, notebooks, paints, small toys, and possibly even a couple of small t-shirts. Because they have every color in the rainbow, they would match any color palette, making color and decor changes easy, as your child grows. 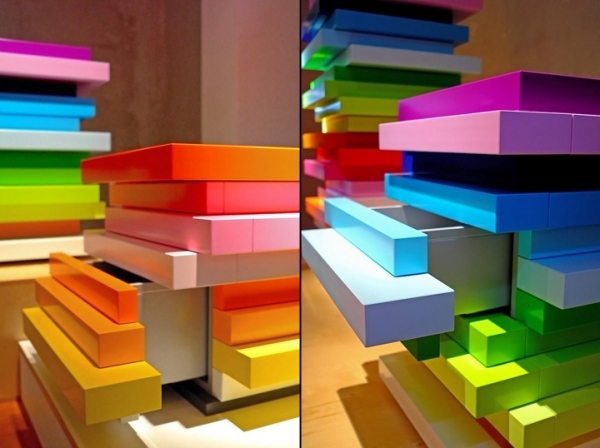 Fun, playfulness, and art, all in a piece of furniture. Simply outstanding.